Zoloft(Sertraline) and Alcohol: Dangers of Mixing the Two? Not all the patients who get Zoloft prescription were provided with proper advice on what dietary and lifestyle adjustments should accompany Sertraline therapy. Most people don’t even ask a very crucial question: can Zoloft be taken with alcohol? It is the reason why patients are mixing Zoloft and alcohol unaware of the possible adverse effect to which they might be predisposed. Sertraline exerts its action by regulating the activity of a neurotransmitter in the brain called serotonin. Serotonin is a mood-altering neurotransmitter. That is why Zoloft drug group is called mood stabilizers. Hard liquor, on the other hand, works by altering the function of numerous receptors in the brain. Ethanol has the potential to modify behavior and mood. People who are experiencing a mood disorder or expecting to get sertraline high are therefore likely to combine their medication with liquor as self-medication. But, is it a right decision? Can You Drink When Taking Zoloft? Can Zoloft And Alcohol Cause Death? Should You Stop Drinking on Zoloft? 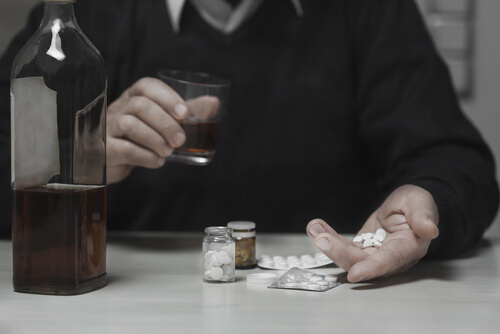 People often suppose that it is okay to consume liquor while still on medication. Nevertheless, several points should be taken into consideration when taking Zoloft with alcohol. In response to the question: can Zoloft be taken with alcohol, it’s always important to remember that person on antidepressant medication should watch their drinking in general. Alcohol, when taken in significant amounts, becomes an antidepressant thereby has a risk of aggravating the underlying depression and making it even worse. A person who has a current mood or anxiety illness has a considerable risk of abusing hard liquor consequently developing alcohol dependence. Alcohol potentiates the effects of SSRI medications such as Zoloft. For a person who hasn’t taken the drug in the past, concurrent liquor consumption increases body’s reaction to sertraline. The sertraline alcohol combination translates to an unusual presentation of side effects such as excessive drowsiness, gross impairment of attention, judgment, and thinking. Stopping Zoloft while taking alcohol may result in various sertraline withdrawal symptoms. Doctors also discourage irregular SSRI’s consumption where one misses some doses because it reduces the effectiveness of therapy and slows the drug recovery. When one next resumes the medication after having stopped momentarily, there’s usually a spike in the levels of serotonin in the brain. When serotonin levels get overly elevated, one may suffer from serotonin syndrome. A person with serotonin syndrome may experience, muscle twitching, raised blood pressure, diarrhea and agitation. There is a pitiful amount of research studies on the effects of sertraline and drinking. It might be the reason behind some physician okaying mild to moderate drinking during sertraline therapy. Nevertheless, it is highly recommended that a qualified physician is consulted before drinking liquor while on sertraline medication. When Zoloft and alcohol are taken together, they are bound to interact pharmacologically which may result in different sertraline adverse effects. The adverse effects manifest differently in different individuals based on their physiologic profile, health status and level of fitness. A Clinical Pharmacy and Therapeutics Journal found that the risk of extreme drowsiness and sedation is unusually high when liquor is combined with Zoloft dose of 100mg or more. People who combine alcohol and Zoloft report that they get intoxicated faster and to a greater extent than they otherwise would. The intense intoxication impairs their coordination, judgment, and cognition abruptly and without warning. They also blackout easily. Mixing antidepressants and alcohol sertraline overdose can easily occur. Liquor, being a depressant, may amplify the underlying depression such that it appears as though the Zoloft isn’t working and there’s treatment failure. Drinking also increases the chances of not taking sertraline medicine as instructed. The result of compromised patient compliance to Zoloft therapy is impaired recovery, and it may even worsen the symptoms of depression. The severe intoxication that results from combining Zoloft and excessive beer consumption causes disinhibited behavior. The study published on NCBI states that heavy drinking may predispose one to inappropriate behavior including 13% of getting into risky sexual activities. Mixing drinks with sertraline may worsen it’s sexual side effects. The risk of developing serotonin syndrome is higher for people who mix Zoloft and liquor. Serotonin syndrome is potentially life-threatening and happens due to the accumulation of serotonin in the brain. Of the symptoms discussed earlier, hypertension is the most worrying manifestation of serotonin syndrome. Combining alcohol and Zoloft leads to fast, intense poisoning. Impaired mental and motor functions mark heavy intoxication. There’s also reduces visual acuity and causes the inhibition of attention and information processing. Detoxification procedures, in this case, could take longer and be more painful. Excessive consumption of liquor in one sitting alongside sertraline may cause severe depression in the life support centers in the brainstem. According to the study, published in the European Journal of Internal Medicine, Brainstem depression occurs when alcohol concentrations in the blood exceed 400 mg/dl and may culminate in a coma, respiratory depression and ultimately to death. Combining sertraline and alcohol, as well as mixing Zoloft and cannabis, not only leads to intense intoxication but may also lead to several undesirable adverse effects. Two substances work in the brain, and their interaction may pose serious health risks. Drinking also has the potential to worsen an underlying depressive illness. Mixing alcohol and antidepressants is a big no. Note that both Zoloft and beverages are significantly addictive. Professional medical help should be sought out at once in case you’re having troubles with quitting sertraline or alcohol or both. Our lines of communication are always open to those who need us. 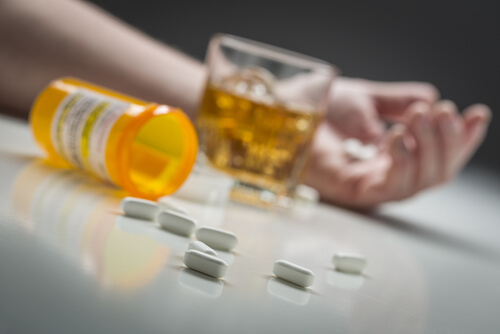 Contact us right away at (888)-459-5511 if you or your loved one needs more information about alcohol, sertraline or any other antidepressant therapy.